After years of self-destruction as a result of the disease of addiction – years that included jail, homelessness, and near-death experiences — Margo has found her life purpose by helping to support other women who are on the journey to overcome their own battle with addiction. Born and raised in Pittsburgh, Margo found herself orphaned at 14 when her mother unexpectantly died. Without a supportive role model or family support, Margo turned to drugs to cope with her grief. Eventually, she found her way to Baltimore when her sister stepped in an attempt to get Margo off of heroin. Sadly, Margo fell deeper into the heroin life and was either homeless or incarcerated. 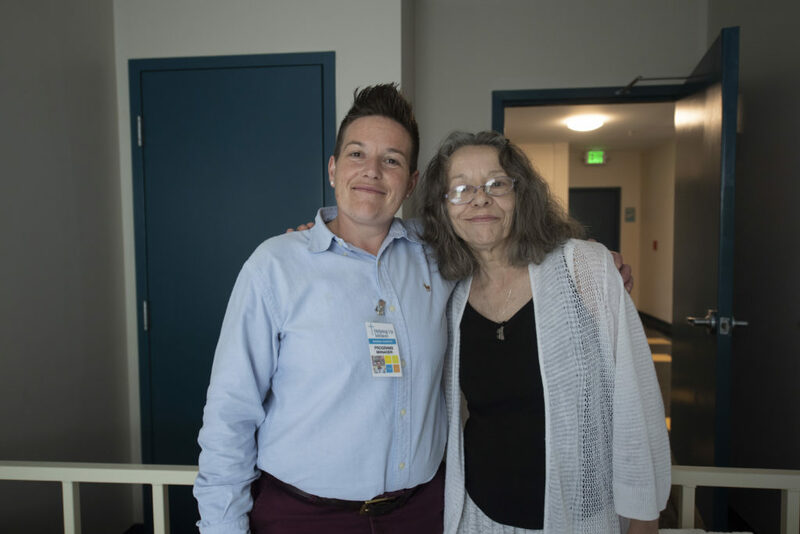 After years living on the streets of our city, and periods of incarceration in our jails, Margo reached her jumping off point – where the pain of continuing in that lifestyle was greater than the risk of asking for help. While incarcerated this last time, Margo began attending 12-step meetings again. As soon as she was released, she dove head first into her recovery through a 12-step program. Through that program, Margo found a relationship with her higher power, God, and began to repair relationships with family and friends. She began reaching out to other women who were also struggling as she had, and extended her hand to help them. This work became her passion and purpose. God saw fit to bless her with the opportunity to work with women still struggling here at Helping Up Mission. Today, Margo is thriving in her recovery, working with other women, has repaired relationships, and most of all she is proud of her role as “Aunt Margo” to her two nieces. Margo is grateful for her substance abuse recovery, and grateful for the opportunity to continue to serve God here at Helping Up Mission.